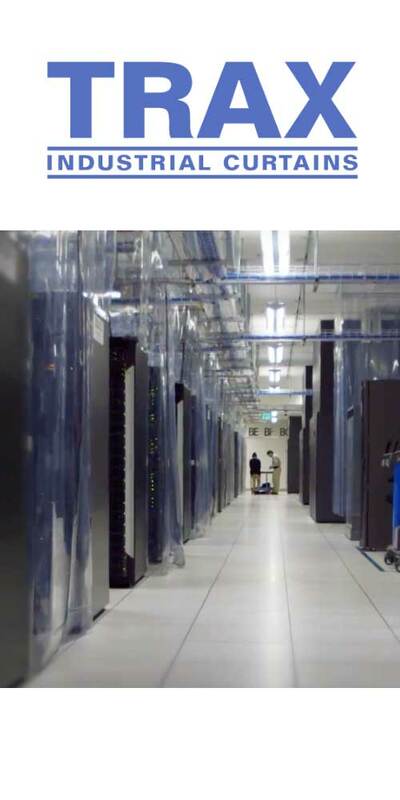 TRAX hot aisle / cold aisle data center curtains are the industry leading low cost containment solutions. Increase cooling efficiency while measurably lowering energy costs with data center containment solutions by TRAX. Click the button bellow to request a quote or call us directly. Why choose TRAX data center curtains? 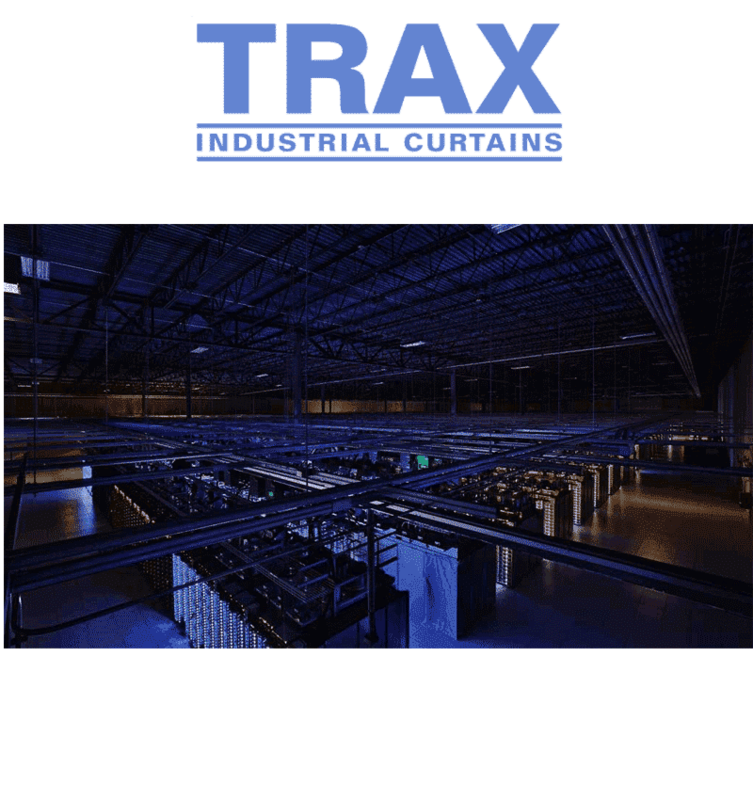 TRAX data center containment solution efficiently isolates cold or hot aisle to significantly increase cooling efficiency and reduce both energy usage and costly downtime which results in more profit for you. All TRAX materials meet California State Fire Marshall standards. For critical fire safe applications, TRAX can also supply flexible clear ESD Safe Class 1 flame spread material. TRAX hot aisle / cold aisle containment curtains are available in flexible strip and softwall panel formats that can be customized to meet your specific requirements. No matter how unique the facility is. Our ESD Safe Seiden Crystal material meets both ASTM E-84 Class A and UBC Class 1 Flame Spread and Smoke Density requirements as well as being NFPA701 compliant.